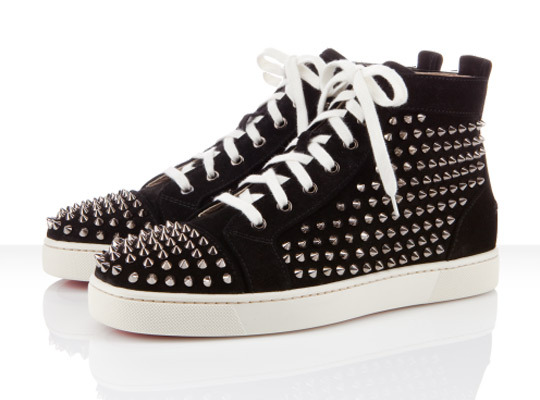 For Spring 2012, Christian Louboutin presents two new colorways of his Louis Men’s Flat Spikes, one of his most popular sneaker styles. If you want it eccentric, yet not too crazy at the same time, you can go for the above black suede version of the studded sneaker. After the jump you will see the multicolor metallic leather version – we advice sunglasses before clicking on the ‘Read More’ button, because they are just so bright.